Age. approx. 5 months. Mix Breed, medium size, uppy-eared. Dotty came into foster care after her previous owners circumstances changed and she wasn't getting the time and attention she needed. 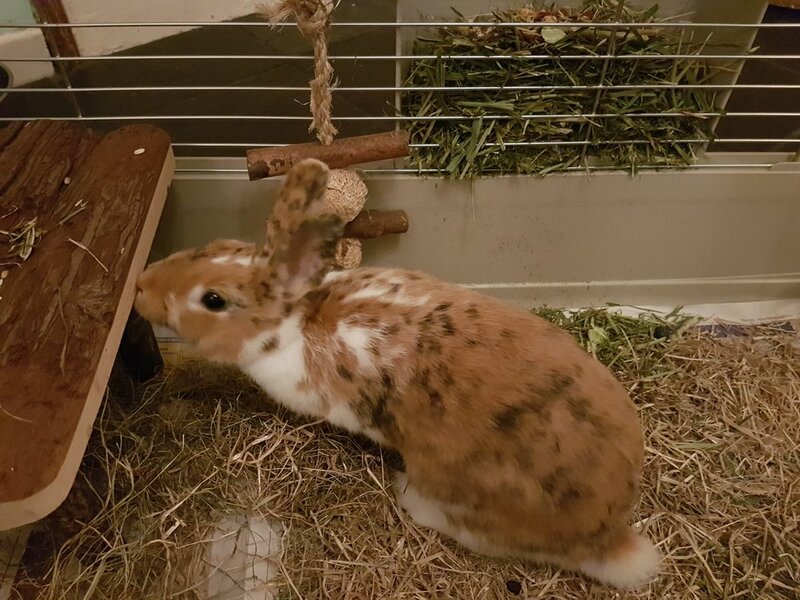 Dotty needs to be re-homed as a house rabbit and needs a quiet indoor home where she can be given lots of space to exercise and run and play. 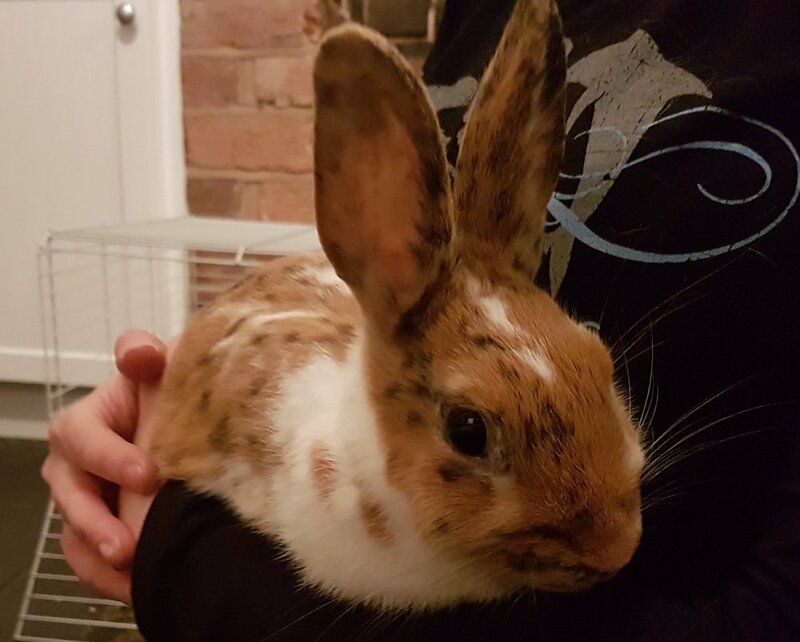 We would love to be able to find Dotty a home where she can be bonded with a neutered male companion as I think she would benefit from having a friend, but we will consider a home on her own as long as there will be someone at home a lot of the time to keep her company and give her lots of attention and keep her occupied. If you would like to find out more about Dotty, please get in touch.